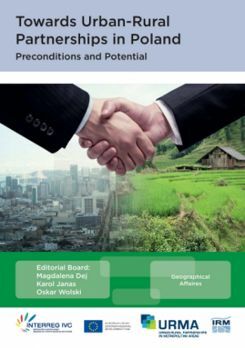 The book Towards Urban-Rural Partnerships in Poland. Preconditions and Potential was a part of tasks carried out by the Institute of Urban Development in Kraków in the project URMA – Urban-Rural Partnerships in Metropolitan Areas, co-i nanced by European Union – European Regional Development Fund within INTERREG IVC program. Information on the URMA project is available at: www.urma-project.eu.